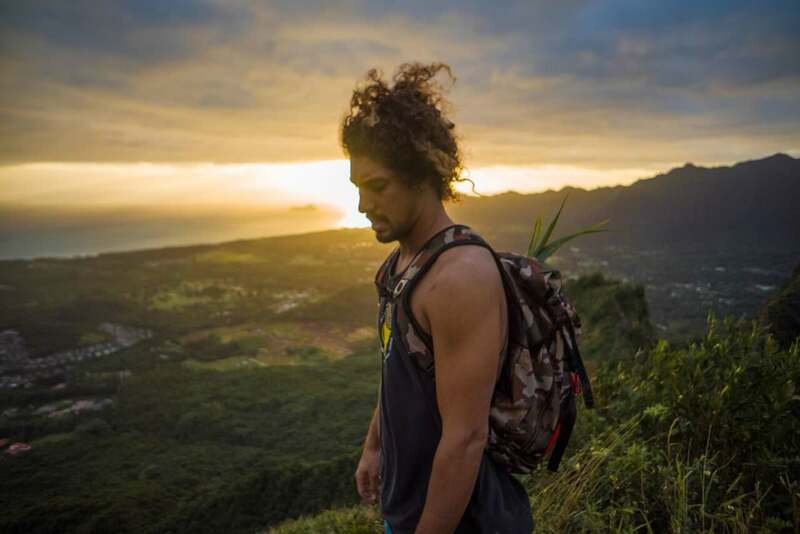 Pro surfer and filmmaker Cyrus Sutton's latest doc, "Island Earth" explores the GMOs and indigenous farming practices in Hawaii. Indigenous scientist Cliff Kapono, the main character of Cyrus Sutton's new doc "Island Earth." The 63-minute documentary that took Sutton two and a half years to complete tells the story of Hawaii’s challenges involving GMOs, the food system, and the fight for who gets to determine how the land is used. The film is in part told through the eyes of indigenous scientist Cliff Kapono, who went into biotechnology with the hope of helping Hawaiians but whose beliefs were shaken up by what he saw happening in his home state. The Hawaiian Islands are blessed with fertile lands, which has made them a prime location for the world’s biggest multinational agrochemical and agricultural biotechnology companies, like Monsanto, Dow, and Pioneer, to test new GMO seed varieties using restricted-use pesticides. 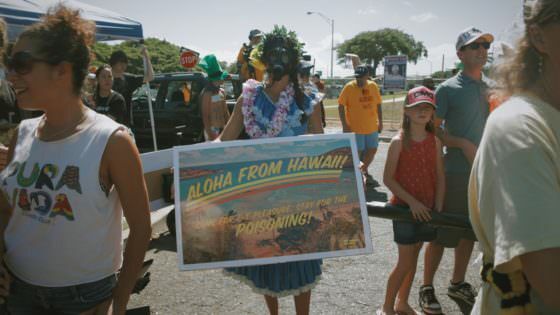 Accusations of drifting pesticides adversely affecting residents near the test fields resulted in protests beginning around 2012 that helped spur attempts to legislate GMO use on the various islands. A series of court battles between the ag companies and county governments followed ending in a federal Appeals Court decision this past November that struck down the local laws regulating GMOs. While large swaths of land on the islands are used for testing seeds, Hawaii relies on imports for as much as 90 percent of its food, an imbalance that’s explored in “Island Earth.” The film also looks at the farmers who have been using regenerative farming techniques, including the practices of their indigenous ancestors, to try and reverse this reliance on outside food sources. Many people, including Sutton, believe these ancient growing practices may hold the key to an alternative, and ultimately better, way of feeding the world’s growing population. Modern Farmer caught up with Sutton by phone from his home in Washington State’s Columbia River Gorge, where he’s getting into growing his own food, including recently planting 60 fruit trees on his property. Sutton is touring with the film in the northwest and will be in New York City in June before its release on various view-on-demand sites (like iTunes) at the end of June. You can find out if the film will be coming to your city here or learn about hosting your own screening here. To say GMOs are bad is akin to saying something like a cellphone is inherently bad because it gives off radiation. I don’t think we’re going to get very far in the conversation if we villainize a specific technology. Modern Farmer: How and why did you get interested in telling this story? Cyrus Sutton: I have friends in the surfing community who have been pretty vocal about the issue and that got it on my radar. I used to live in San Diego where the main character of the film, Cliff Kapono, is getting his PhD in chemistry and where he got his Masters degree in biotechnology. I was surfing with him and he was telling me about being groomed to work for these chemical companies. He’s got an insider perspective on it both as a native Hawaiian and active member of the Hawaiian community, and as somebody who was on track to work for these kinds of companies. As a professional surfer, it’s kind of my job to show this romantic connection humans have with the ocean. It’s the icing on the cake of life and as a storyteller I don’t feel right making movies about the icing on the cake without acknowledging issues about why I’m able to have that freedom to surf. That’s why I focused on Hawaii and the indigenous knowledge that’s there and how it could inform how we grow food. MF: Did you try to approach this story, which revolves around hot-button issues like GMOs, with an open mind? CS: I have a friend who’s a really successful documentary editor and he gave me the advice that documentaries at their best are structured research and need to be approached with a spirit of curiosity and humility. I’m privileged because I’m able to buy food based on my values, which has led me to mostly eating organic and wanting to grow my own food. Making this movie, I tried to check my biases at the door. I’ve learned since making this film that to say GMOs are bad is akin to saying something like a computer or cellphone is inherently bad because it gives off radiation, or that nuclear power is bad. I don’t think we’re going to get very far in the conversation if we villainize a specific technology, but I am deeply concerned by our society’s deployment of those [GMO] technologies. 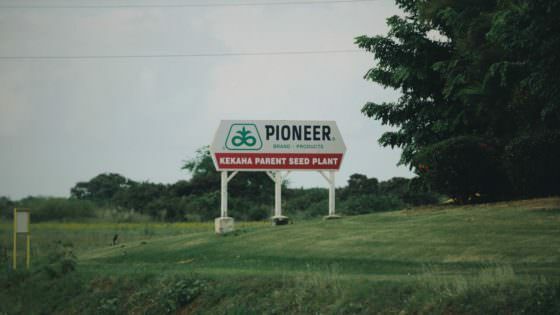 These companies hold up niche applications of GMO technology, like golden rice or the GMO papaya, as potentially feeding the world, but the vast majority of its use is to create resistance to proprietary blends of chemicals, and this is all being tested in Hawaii. as a storyteller, I needed to cut through that greenwashing and let people know what’s actually going on. MF: What did you learn while making the film? CS: I had my mind blown those first few months by the complexity of the issue. The majority of the genetically-modified seeds in the United States have been produced on the islands of Hawaii over the past few decades. And that’s because they get three corn growing seasons a year. Those seeds are then exported to the midwest, where they’re planted and used to provide calories for livestock, biofuels, and industrial products we consume as Americans. This film taught me that there are a lot of people who are trying to make the world a better place: scientists, policy makers and other people who really want to understand the solutions. I’m simultaneously feeling dread of where we’re at and how our government has become coopted by private influence, while I’m also incredibly hopeful on a person-to-person level because of how many feel the same way I do and are looking for ways to improve literacy about the natural world and a desire for better stewardship. We just need to share it in a way that’s inclusive and inspiring. Island Earth Trailer from www.KORDUROY.tv on Vimeo.